Wonder Woman weekend is upon us my astounding Amazonian associates, triumphantly commencing yesterday with the release of Gal Gadot and Patty Jenkin’s stunning cinematic adaptation (oh and believe me folks, it definitely lives up to the hype, review incoming soon) and continuing through today, which DC Comics have officially declared – Wonder Woman Day! Patty Jenkin’s fantastic adaptation might be Wondy’s first cinematic live action solo debut, but the Themysciran Titan has headlined her own movie previous to this in the amazing 2009 animated tale. 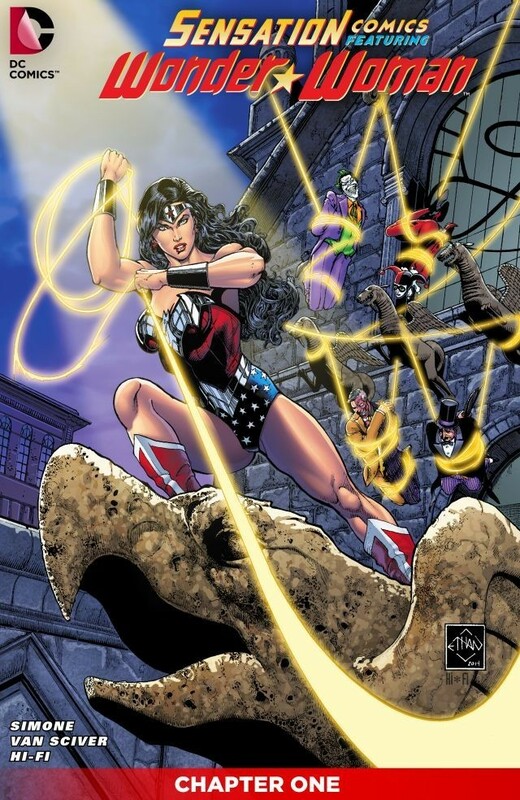 The film, which was written by Gail Simone and Michael Jelenic gave us a George Perez inspired origin tale, that takes us from the golden shores of Themyscira and Diana’s complex relationships with her mother, Queen Hippolyta and sister Amazons, to the dangerous and uncertainty of the world outside of the Amazon’s paradise island. With a star studded voice cast that includes – Keri Russell, Nathan Fillion, Virginia Madsen, Alfred Molina, Rosario Dawson and David McCallum, this is one of the best adaptations of Diana Prince outside of the comic books themselves… highly recommended. DC Comic’s recent Rebirth shake up of it’s iconic universe of characters has been a massive hit with fans across the globe. The 2016 relaunch heralded the end of their New52 run and returned the DCU to a time before the Flashpoint Paradox but retained the history and continuity of what came before. Wonder Woman Rebirth has been a stunning adaptation of Zeus’ favoured daughter, alternating each issue between her present and past, with a retelling of her canonical origin story in the “Year One” chapters by Greg Rucka and Nicola Scott, and the contemporary tale of Diana’s trials and tribulations to discover the truth behind “The Lies” by Greg Rucka and Liam Sharp. Diana’s world was brought to glorious and evocative life through the talent of these individuals presenting us with quite possibly the greatest WW run of issues since the glory days of the great George Perez. Our Herculean Odyssey through the Ancient Amazon Archives was a particularly big hit for Precinct1313 last year, and in anticipation of Gal Gadot’s solo escapades as the Amazon Herald we have been revisiting the archives from it’s humble beginnings through to it’s thrilling denouement… and Act IV begins right here. Happy Wonder Woman Day, my astoundingly awesome Amazonian affiliates! Our torches flicker white hot incandescence across the walls of the ancient Amazon archives as we continue our research into the millennia long annals of the Olympus created Amazon race. We have descended vast depths since beginning this investigation, floor after floor of extensive libraries detailing every facet of the venerable Amazons and their feats of great valour, which are then regaled to you through – ‘Classic Wonder Woman’ Precinct1313’s comic cover countdown to the 75th anniversary of Zeus’ favoured daughter. After her titanic struggle against the unremitting foe Genocide and a sorrowful departure from her home of Themyscira, Diana returns to her apartment in Washington DC. It is here she learns that Genocide is still alive, though broken, and is being harboured by Dr Psycho in Japan, Psycho is using an underground Meta-Human fight arena as cover whilst he sets about returning Genocide (who is actually the corpse of Wonder Woman, stolen by Ares in the future and corrupted to become Genocide) to full power. I love this run of Wonder Woman by Gail Simone, in my opinion it rivals all the greats that came before and after it including George Perez and the more recent saga by BrianAzzarello. Simone just ‘gets’ the character like no other, it helps also that her talent runs the gamut of both deep dramatism and incredibly funny comedy. Rounding this series off perfectly are Aaron Lopresti’s fantastic visuals, his characters exhibit real emotion and his articulation of facial expressions in his art is worthy of the great Keith Giffen himself, and that is high praise indeed. Today’s tantalising tome is brought to you by those boundless bastions of comic book creation – Gail Simone, Aaron Lopresti & Matt Ryan. Released in July 2008. Diana must brave the mystical demonic real known as the Black Horizon, this desolate plane has devoured many a great warrior whom have encountered its perilous landscape. Bereft of most of her powers and fighting a growing bloodlust in her veins, Diana must journey through this dangerous dimension to reclaim her soul from a demon lord who resides at the edge of existence. 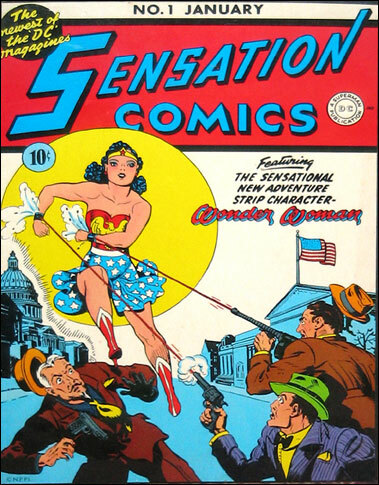 Welcome comic lovers to another comic-book spotlight, this week we will be focusing on the return of DC’s Sensation comics, the original run of Sensation began in 1942 and heralded the historic debut of comics’ first lady – Wonder Woman. This new imprint will be Wonder Woman’s first digital series, but if you prefer your comics to be more hands on then the series will also be released in print one week after the digital version. Original 1942 Sensation #1 debuting Wonder Woman. The first run on this comic will be by one of Precinct1313’s favourite comic scribes, the fantastic Gail Simone, who had an award winning run on Wonder Woman’s premium series in 2007. 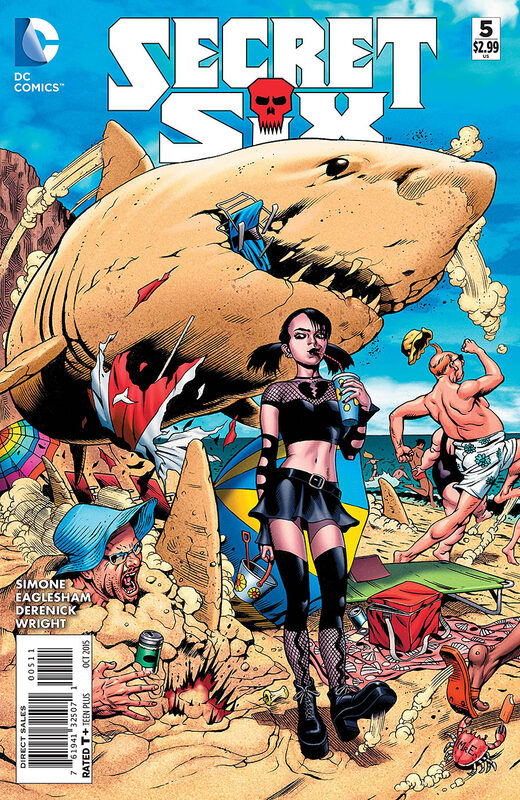 Artist Ethan Van Sciver is handling cover and interior art, best known for his long run as penciller for the Batman/Superman and Green Lantern titles. 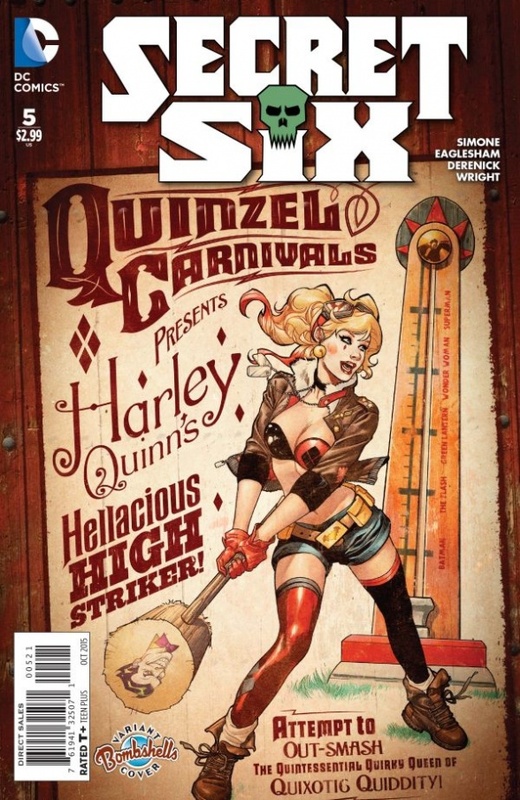 The first story will be a two issue run, with the Amazon Princess visiting Gotham City and running afoul of the Clown Prince of crime and the Mistress of Mischief…Joker and Harley Quinn. The first issue is available as a digital download right now with the physical version out next week. Precinct1313 rating: 5 golden lassos out of 5.